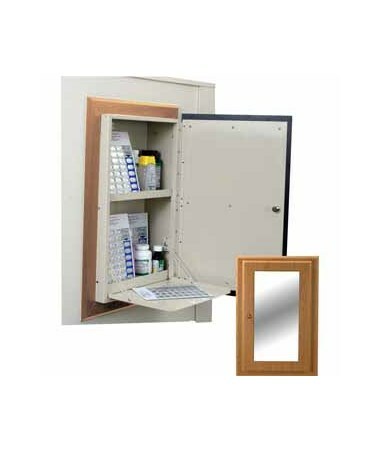 The Harloff Wood Laminate In-Wall 40 Punch Card Medication Cabinet is a storage device designed with a rich wood appearance which supports 1 - 2 residents and can store up to 40 punch cards. Durable and Functional. 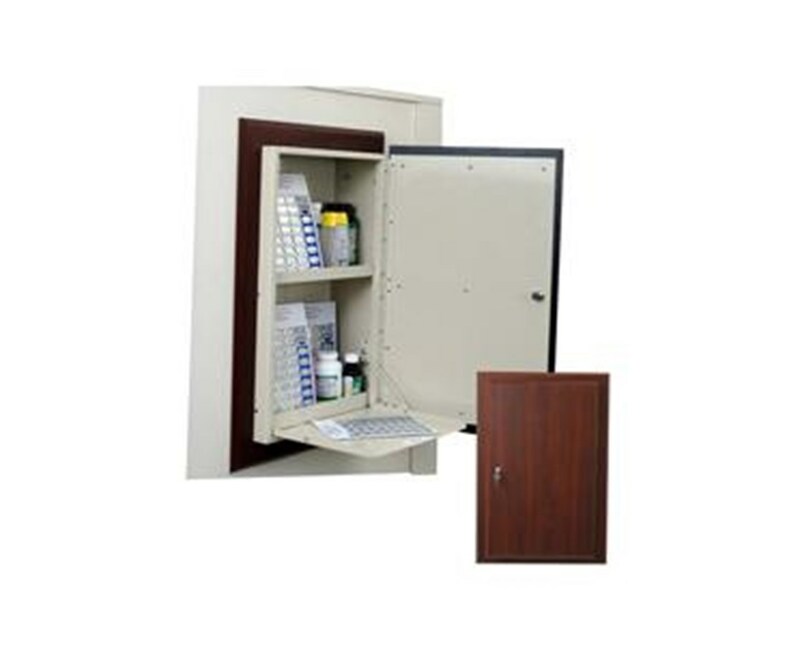 With a steel construction, the In-Wall 40 Punch Card Medication Cabinet is sturdy and has a hard-baked powder coated glossy beige finish. features MDF Panels that are covered with a special heat-pressed thermal foil wood laminate for added durability. It has predrilled holes and includes the hardware for mounting this cabinet between wooden studs with 16" centers. Secured and Easy to Use. 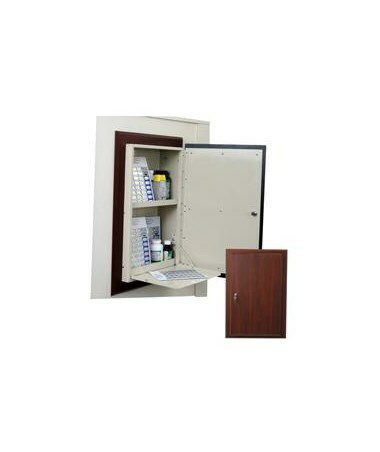 Designed with a slam lock system, the Medication Cabinet allows the user to use one hand to open and close the door which makes securing the supplies reliable and hassle-free. 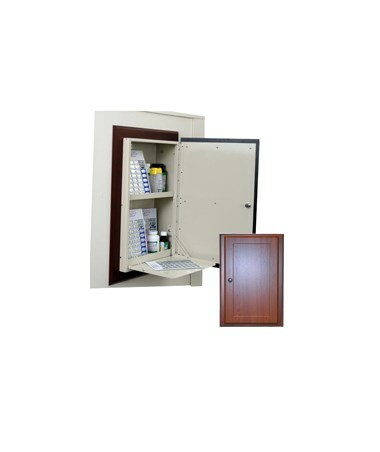 To prevent tampering, stainless steel pinned door hinges protect the pins used in constructing the cabinet. It also includes a drop-down shelf that makes accessing your supplies simple.